Hi all, I am new to the forums and love it! Great info and alot of fun people. Has anyone used or currently using a HID Conversion kit? If so what kit did you buy? What bulbs did you buy? I have only seen the HID's come in 9006 and not 9006XS I have asked many sellers if those will fit my Cruiser and most say they should but I don't want to spend the money on "they should" if ya know what I mean. I know I can install them myself, no problem. I really like the looks of them and this year I want to spruce my up my 2001 Touring Edition I call "Elvis"
I was wondering about the bulb because if I'm not mistaken my regular low beams take 9006XS bulbs with a straight plug and high beams are 9005XS with a L shaped plug. So how did you hook yours up? Did you use the 9006 HID bulbs in your low beams? 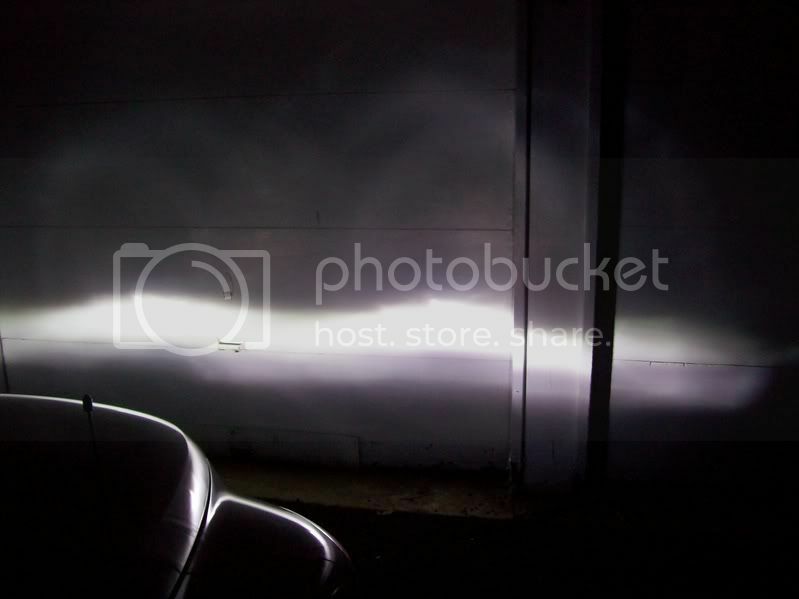 Do you have any pictures of your car with the light on? How was the install easy? I like your under body lights! I plan on doing that to mine as well this summer..
Last edited by StoneWhitePT2; 12 Apr 2008 at 01:54 am. Wow dude that looks great! What bulbs you go with 6000k or higher like the 10000k or higher? Where did you end up securing you ballests for the lights? I also noticed you have a blue strobe hooked in your high beam enclosure, I plan on doing that to mine as well lol. You must have removed your head lights for that, was it hard to remove your head lights? Last edited by muzicmax; 01 Apr 2008 at 05:13 am. Hello Everybody! I am new to the forum and i am loving it !! I have a simple question to make... 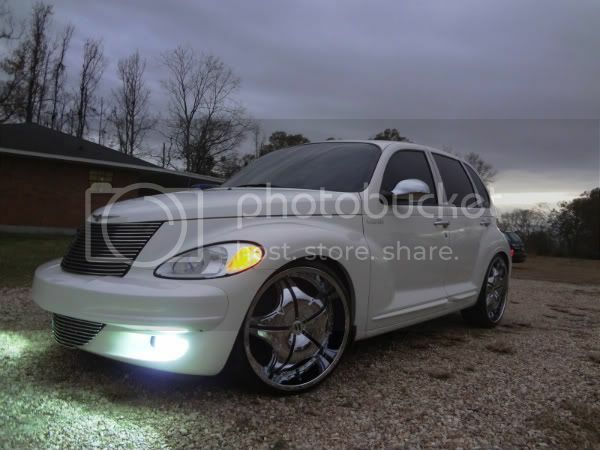 I am from Brazil and just got a 2008, limited Pt Cruiser... I want to put a Hid kit on the low beam and the fog lights... Can anyone tell what type of bulg fits them??? I think you can use 2006 & 2005 HID bulbs..every HID dealer I managed to talk to said to use 2006 HID bulb for the low beams I never asked about the high beams.. So don't take my word for it I am not even sure if the 2008 PT has the same bulbs as mine(2001)? Does anyone here own a 2008 limited Pt?? As I said I have no idea what yours may take. Mine uses 9006xs for low and 9005xs for high. Here is a link if you really want to know. Check that out it's right so no more discrepencies! Also keep in mind if your going to install a HID kit you will need different bulb 9006 as StoneWhitePT2 said previously. He put a HID in his with that bulb. Last edited by muzicmax; 22 May 2008 at 03:10 pm.